We are Washington, DC bound for a special night of pretty lettering at Kramerbooks & Afterwords! Whether you’re a stationary nerd, DIY Bride-to-be, or a just crafty gal, this workshop you’ll be learning an introduction of modern calligraphy with a pointed dip pen and ink. We will cover all the basics and get you ready to add those special lettered details to your snail mail, wedding paper goods, home decor and more! 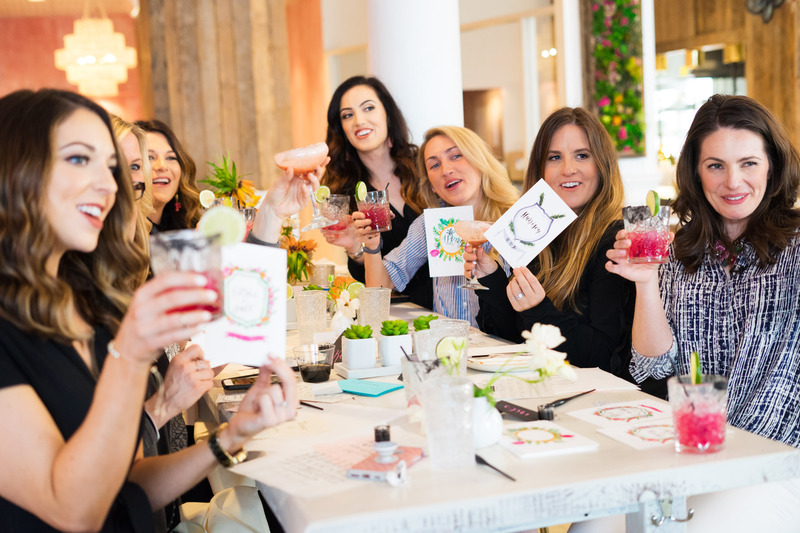 The perfect Galentine’s night out! Class include 1.5 hours of instruction and demonstration, our beginner’s calligraphy kit, all writing materials and a drink voucher! Everything is yours to keep at the end of the night!